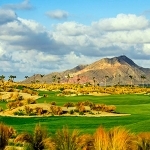 Now an incredibly popular golfing destination with a number of great value packages available. 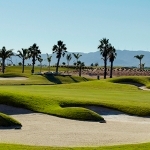 The Murcia / Alicante region of Spain enjoys a comfortable year-round climate, which makes it a perfect remedy to escape the UK’s winter weather and enjoy some great golf resorts. Regional flights into Murcia make getting here easy, and you’ll find spectacular five-star hotels and apartments. 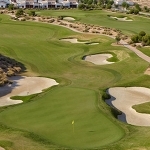 With the choice of six courses to choose from – the area really is the all-round golfing package. 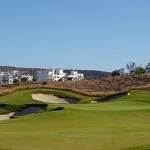 Only 40 minutes from Alicante Airport, golfers are welcomed at the four-star Melia Villaitana Resort, with a par 72 championship course and a par 62 academy course. A great destination for short breaks and close to the vibrant resort of Benidorm. Five nights, bed & breakfast, private transfers, four rounds with buggies – £329pp. 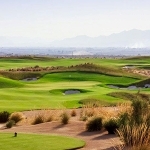 Click on a hotel to read more and find information on nearby golf courses. Didn’t find the hotel you were looking for? Use our search facility! Just enter the search terms you want to find in the search box and we’ll show you the relevant results.